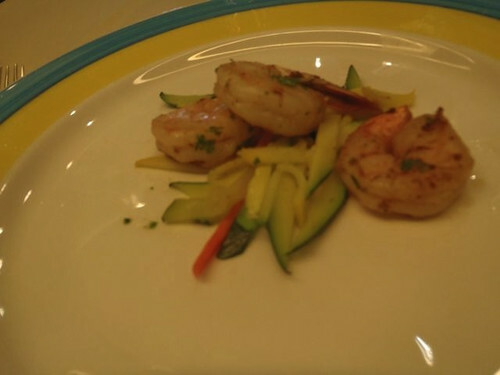 For the appetizer Mik enjoyed the Garlic and Herb Suateed Shrimp. He enjoyed it, although three shrimp was a little too small of a serving in his opinion. I had the Wild Mushroom Sop, which was really good. For dinner Mik had the Seafood Salad. He liked it, although mainly for the seafood and not the lettuce. 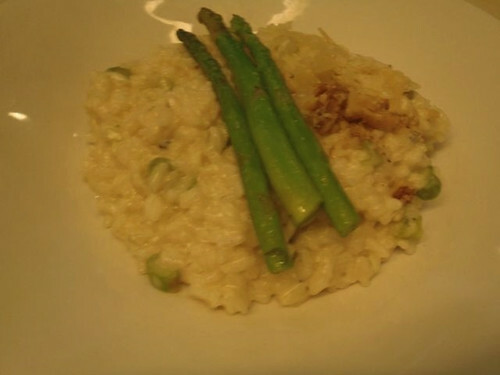 I had the Blue Cheese and Asparagus Risotto, which was delicious, although too filling to for me to eat more than half. 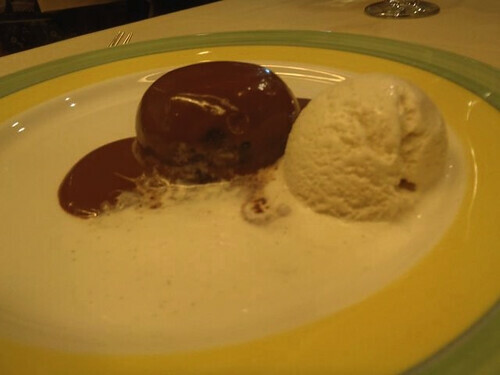 Mik was excited for the Warm Chocolate Lava Cake dessert, which was delicious in his opinion. I thought about getting it, but was glad I went for the Captain's Sweet Temptations instead because they really are cake like and not brownie style like Dominos Pizza has. The Sweet Temptations included Amaretto Cheesecake, Banana Creme Brûlée, and Coconut Macaroon. 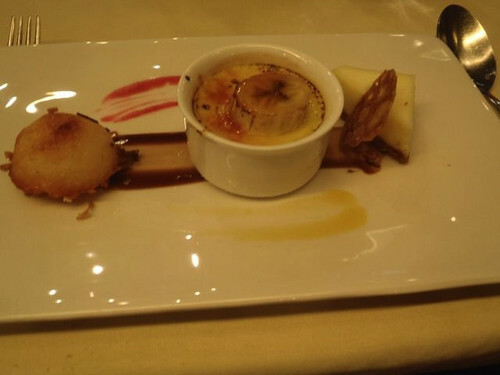 I especially enjoyed the Banana Creme Brûlée.